The Rob Dickson-led Costa Mesa Planning Commission meets again Monday, May 11, 2015 beginning at 6:00 p.m. in City Council Chambers for what likely will be a VERY interesting meeting. You can read the agenda HERE. It looks like it might start out with an easy one in Public Hearing #1, HERE. 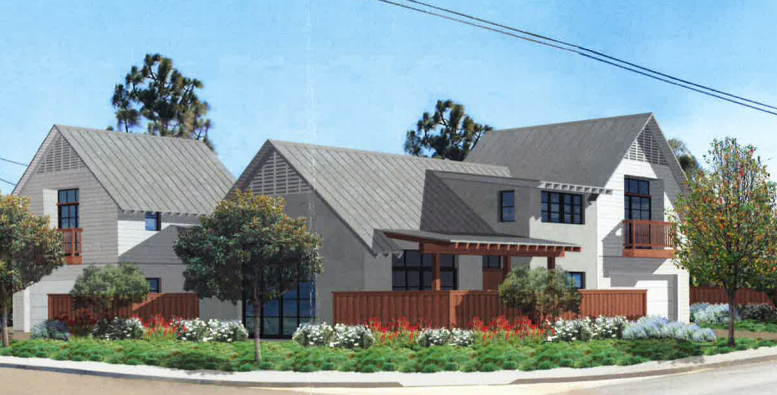 This is a plan for a two-unit development at 1620 Orange Avenue with a couple minor adjustments to setbacks. As far as I can tell from the staff report, this should be a nice little project. Public Hearing #2, HERE, is a little more interesting. This is an appeal of a decision by the Zoning Administrator to deny the application for a radio station at 440 Fair Drive which includes a 70-foot tall antenna in the parking lot! Some might recall that address - the site of previous controversial businesses. Reviewing the agenda report, it seems unlikely that the appeal will be approved since there is no way to screen that tower, which is nearly twice the height of any other structure nearby. Public Hearing #3, HERE, is an entirely different kettle of fish. The applicant - Diamond Star Associates, in the person of former Senior Costa Mesa Development executive, Don Lamm - who represents the owners - Greenlaw Partners (a member of which will receive recognition at the upcoming Mayor's Celebration next week) are asking for a Master Plan amendment to move the existing Sutra Lounge - a business that generates significant calls for service - from the current location at the confluence of Newport Boulevard and Harbor Boulevard to the former NikeTown location at the other end of The Triangle, along 19th Street. The existing space would then be available for another restaurant. According to the staff report, parking will not be a problem because there is a surplus of parking at The Triangle. OK, if they say so, but my personal experience and that of many of my neighbors is that there are major parking issues at The Triangle, particularly during the evenings when all the restaurants are open and the theaters are operating. Over the years this shopping venue has gone from one with a diverse array of businesses - most of which typically had customers in and out in less than an hour. Today, with the theaters, the gym in the basement and the proliferation of popular restaurants, most visitors are staying for two hours plus. Hearing Lamm's pitch on the parking will be very interesting. The staff is recommending approval. Public Hearing #4, HERE, is also an interesting item. This is the development of 177 units at 671 W. 17th Street - the old Argo-Tech industrial site at the corner of 17th Street and Pomona Avenue. 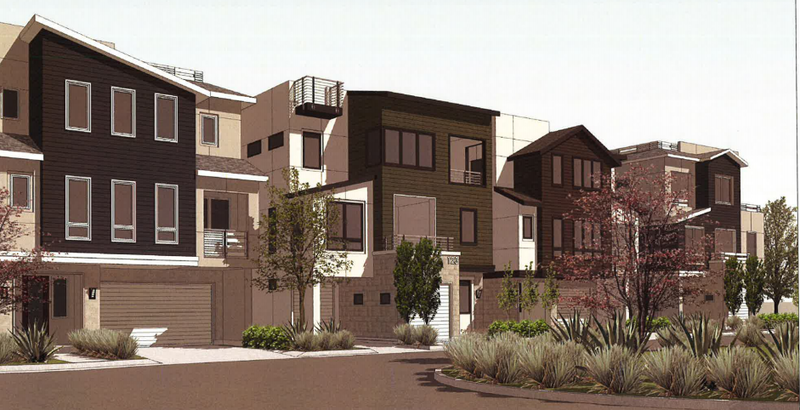 According to the staff report, there will be three-story with rooftop patios in these configurations: 42 detached live/work units; 89 attached live/work units and 46 residential loft units. Don Lamm is also pitching this one. The staff report is nearly 1,600 pages! 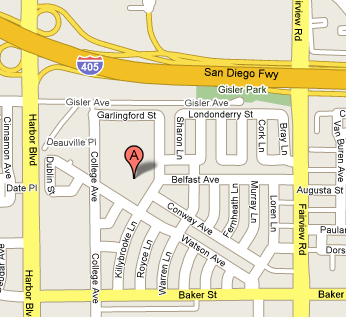 This project follows the guidelines of the Mesa West Bluffs Urban Plan created a decade ago. Theoretically, the parking is within guidelines, but includes some of the "open spaces" within closed garages! What? The staff recommends approval of this very intense, traffic-producing development. Today, with this entry, I'm taking a side road that's very important to me and my family. 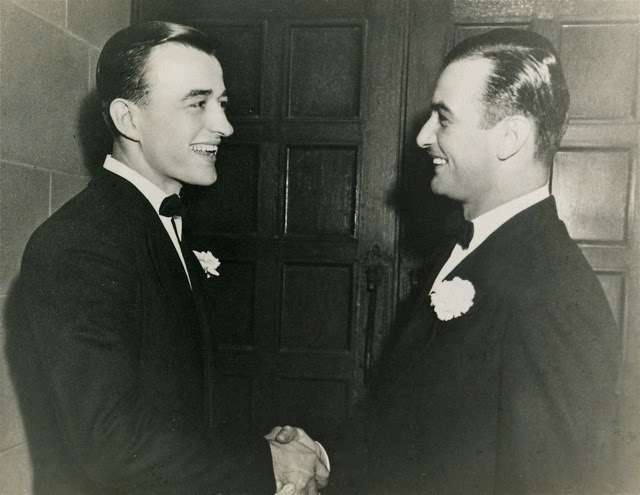 Today I mark the 100th anniversary of the birth of my father, Robert J. West. You've seen images of him from time-to-time and today you'll see a few more. 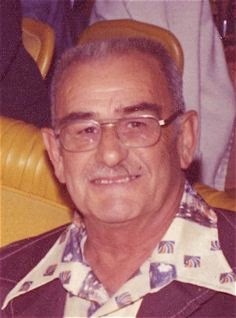 My father was born in Wheeling, West Virginia 100 years ago today. He was the eldest son in a family with four siblings - and elder sister, two younger sisters and a younger brother. The family moved to Ohio for a job opportunity for his father. His father died when he was a young boy so his mother worked hard and supported their family of six by herself by working as a seamstress and cook. Early in his teens my father fell while playing basketball - I'm told he was a good athlete at that time - and injured his right leg. It became infected and he got blood poisoning, which resulted in a 9-month stay in the hospital and a right leg that was forever hampered with limited mobility. He missed an entire school year due to his injury and never returned to school. He worked to help support his mother and siblings. The country was in the depths of the depression and times were very tough. 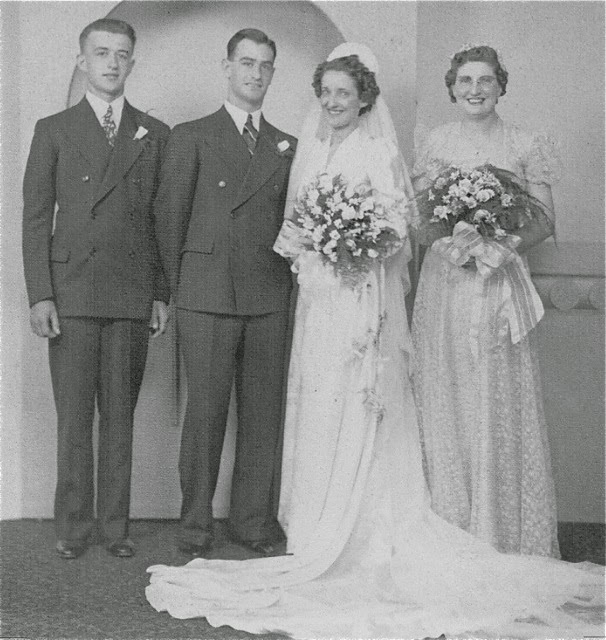 He found a trade as a carpet and linoleum installer, married my wonderful mother, Dorothy, and had two children - me and my sister, Linda. 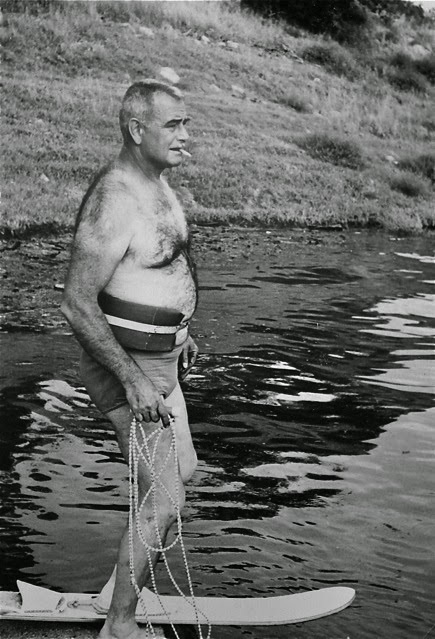 Because of his stiff leg he was not eligible for military service in World War II, so he worked two full-time jobs for the duration - his regular job and a defense industry job. 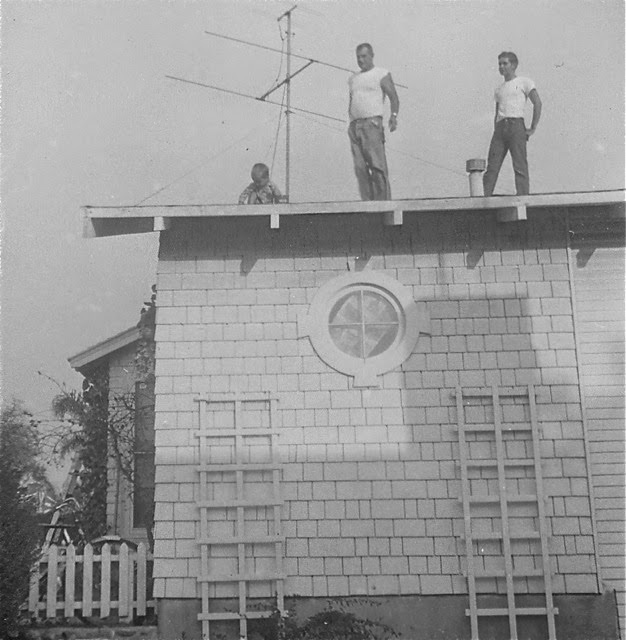 After the war and after almost freezing to death in his work truck that next winter he drove to California where his elder sister lived, found work, bought a house, then sent for us to join him. A couple years later our youngest sister, Cheryll, was born, and we spent the next couple of decades growing up in Los Angeles, where he and his younger brother established a carpet installation - and later sales - business. My father was not an educated man. He would never win a debating contest, but he was the most honest man I've ever known and revered by all who knew him. Throughout our lives with him everyone, including his peers, referred to him as "Father West" - which got to be amusing from time to time as strangers presumed he was a man of the cloth. 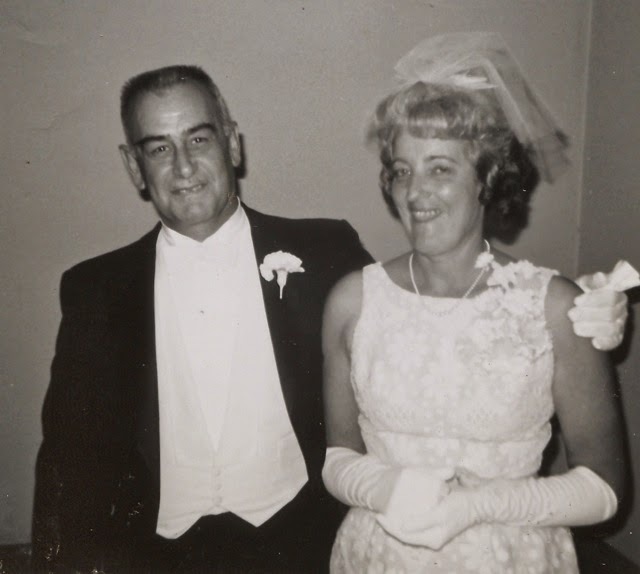 His youngest sister recalled my father in a short, handwritten memoir written shortly before her passing. She described her own youth, which was peppered with serious illnesses, one of which kept her in bed for weeks. 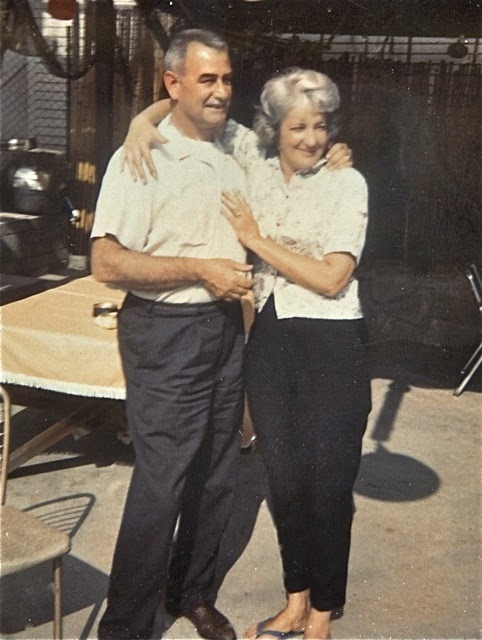 My father, her older brother, was her primary caregiver during that time because their mother was working at two jobs to keep the family housed and fed. She describe my father as "a good Samaritan all his life, always giving and doing for anyone that needed a helping hand. Everyone loved Bob. He was 24 carat gold, temper and all." Yes, he had a temper, which manifested itself as a scowl, not a rant, most of the time. He was not a shrewd businessman in the cut-throat, profit-at-any-cost sense of the word. He was an honest man who treated everyone - his customers and employees - fairly and expected the same in return. As you might expect, he was occasionally disappointed. I recall a time when he paid his best installers $5.50 per hour, but the union shops - he was non-union - paid $7.50 per hour. Sometimes one of his employees would feel mistreated because of that disparity, so would jump to the union job, only to return a few weeks later. You see, while the union carpet installers might work 30-35 hours a week and earn, maybe, about $260.00 gross, my father's guys would work at least 40 hours per week for $224.00 gross PLUS he paid his guys $1.00 per square yard of carpet they installed, and a good team could do 100 yards a day easily. Do the math. He had a cadre of ten men who worked for him for more than 20 years, some almost twice that long. Twenty years after he died we chanced upon a man in the carpet business who knew my father and his brother. He told us his best friend had worked for them for 20 years and loved them like brothers. Yep. 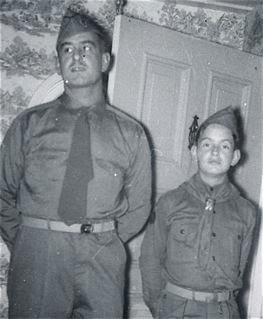 Here's a true story that will give you the sense of what kind of man my father was. I had a high school classmate - I had known him and his twin brother since junior high school. Following high school he wanted to become a civil engineer, but had no money. He got a job working for my father as a carpet layer's helper - a job requiring a strong back and not much more. He would gripe about the job, implying how it was below him, blah, blah, blah. And yet, he stayed there, working for a couple years until he saved enough to attend college, and he also worked off and on while in college. After graduation went his merry way, working as a civil engineer and I lost track of him. "THE BEST MAN I'VE EVER KNOWN!" Then, a few years ago, I was sitting with a friend at a local shopping center, eating lunch outside, when I noticed this fellow and another younger guy eating nearby. I commented to my lunch companion that I knew the guy - he rejected that idea. When we - the four of us - were finished eating I left my companion, walked up to this man and asked his name. He told me his first name and I added his surname. He stepped back and said, "Geoff West! ", then quickly added, "Your father was the best man I've ever known." We chatted, then his son returned to work in a nearby bank and my old friend and I adjourned to my home to catch up. It turns out that he had married, had two kids, divorced and followed them to Utah, where there were no civil engineering jobs to be had. So, he fell back on the trade he learned from my father and made a good living installing floor coverings. More important to him were the life lessons he learned from my father. 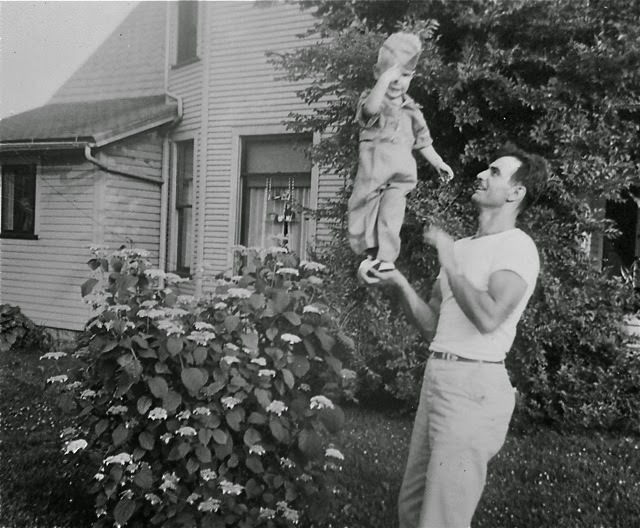 My father was an uncomplicated man. He worked hard and did his best to make a good life for his family. If any of us expressed an interest in an activity he and our mother tried to find a way for us to do it. With my sister, Linda, it was horses. She loved horses from an early age, so they found a way for her to be around them and bought her a bargain-basement retired polo pony. Linda cleaned stalls for the stall rent for her horse and worked other jobs to pay for riding lessons and competed in equestrian events with old Sungold. Her skills with, and love for, horses has served her well throughout her life. For me it was water skiing. 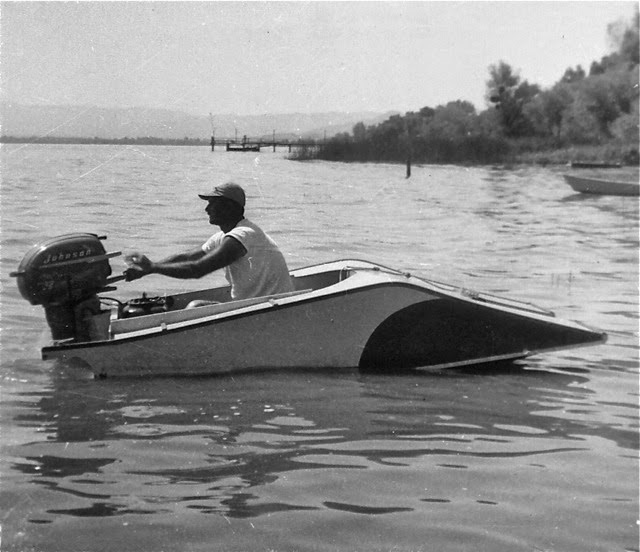 In the middle 1950's we vacationed with a neighbor family at Clear Lake, above San Francisco and a kind stranger taught me to water ski. 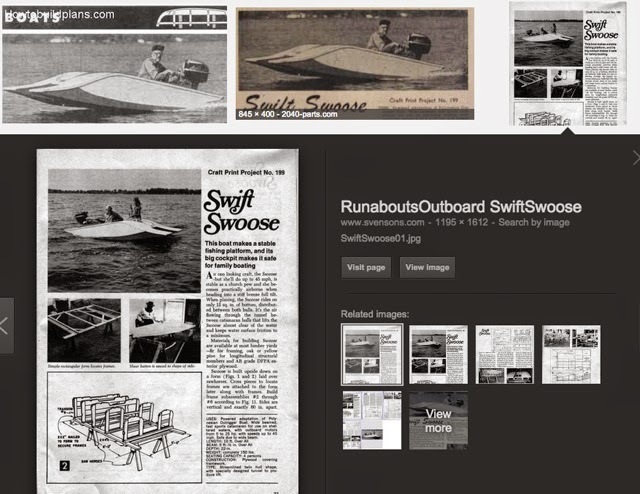 That winter my father, not a wealthy man, found these plans in a magazine and built this weird little boat - the Swift Swoose - bought a 25hp motor for it and we began finding places nearby to use it, and to water ski. The thing was only 5 feet wide and 10 feet long and could hold - at most - two people. The "Swoose Goose", as we called her, lasted a couple years before we outgrew her. 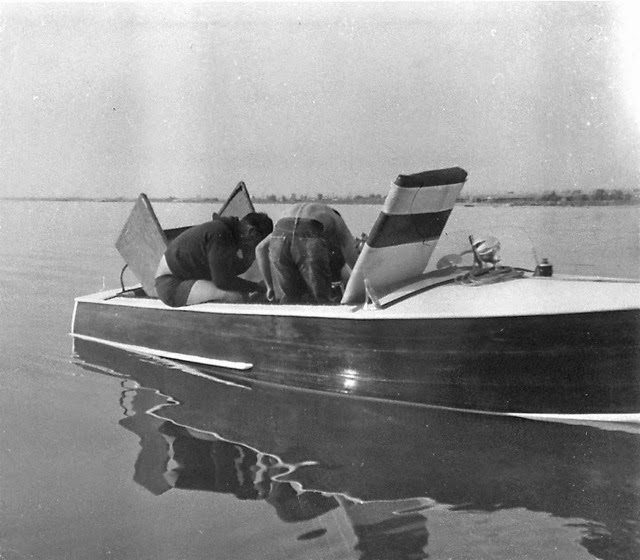 My father then found an old, neglected inboard runabout, bought it and refinished it so the entire family, including my father, could ski. That experience has been foundational in everything I've done in my life - thanks to my father for doing what he could with limited resources. While not an overtly religious man, he lived a life that others tried to emulate. He was a deacon in our church and Scoutmaster of our Boy Scout troop. While not an educated man he became a director of a local bank and served as such for many years. He was the man others came to with their problems. He was a great listener, but not a skilled orator. He didn't tell folks what to do with their lives, he just listened, then asked questions that provided directions they may not have considered. My sister, Linda, recalls a motto he used to say - "A stranger is just a friend you haven't met". That very much described our father. 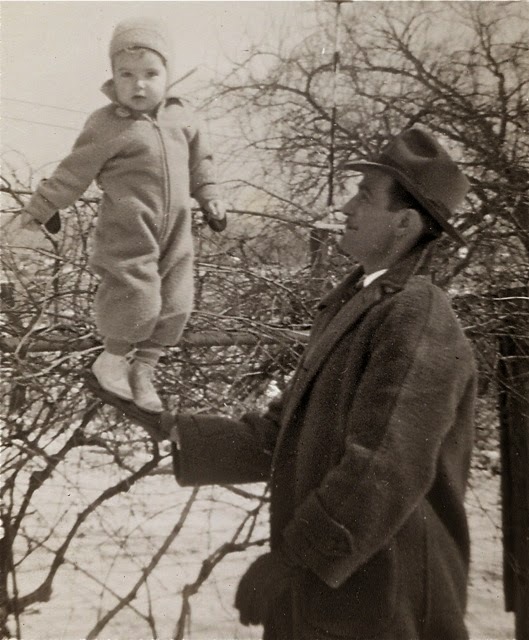 I've shown you images of my father holding me, standing on his big hands, in the past. He did that with all of us and other children, too. 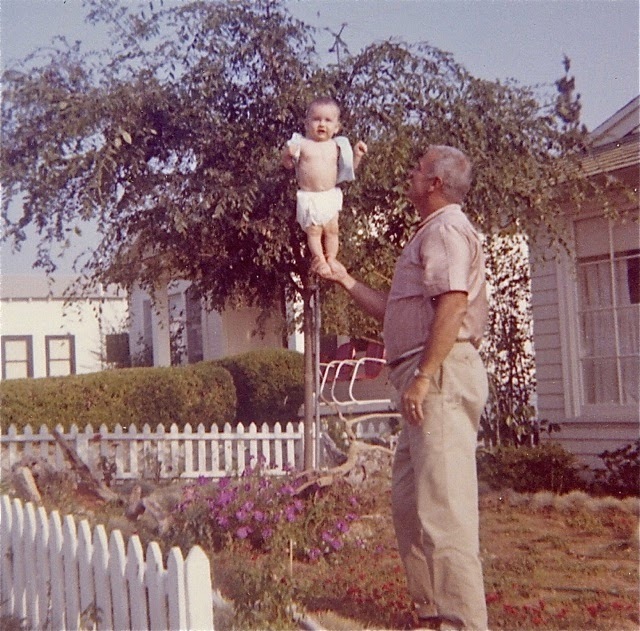 This image is of my nephew 50 years ago. I mentioned that he was an honest businessman, and that sometimes he was disappointed. He sometimes would trade carpet or services for something - like a car, for example. I recall him trading our 5-year old Chevy station wagon and some carpet for a 1-year old Lincoln just about the time I was learning to drive. It was a great date car! I mentioned our runabout. Her name was, quite appropriately, Jezebel. She was a wonderful old boat, but could be capricious. This image is one of those times. We got many years of great fun out of the old girl because my father found a way for us to get her and refurbish her. And, for every hour of joy we got from Jezebel we may have had an equal number of interesting hours "fixing" her. 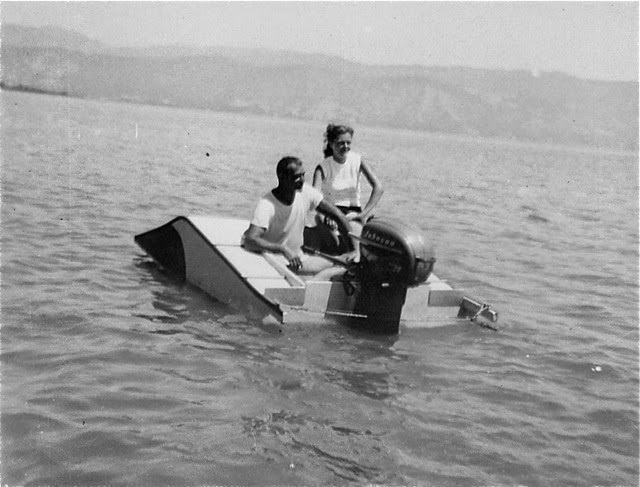 She was a double-planked hull that had not been in the water for years. The first time we put her in the water she began sucking up water like a sponge. 200 gallons later we finally were able to drag her back on her floating trailer - big mistake, there - and haul her home, where she sat for two days with a syphon hose draining that water. Next "fix" - drain plugs and a home-made self-bailer. He got tired of dealing with a plank-hull boat and her need to stay swollen, so we just yanked the engine out, flipped her over on her back and overlayed the bottom of the hull with 1/4 inch marine plywood (held firm with several hundred brass screws) then fiberglassed her tummy for good measure. Jezebel never leaked a drop from that day forward. And, even though that added to her weight, she could still pull seven skiers out of the water and go 30 mph with them in tow. And, speaking of skiing, my father was a man of infinite patience. He would sit behind the wheel of old Jezebel and pull every skier who was willing, all day long, stopping only for some fuel. And, speaking of stopping - he didn't much like doing that, so he perfected the "flying pickup". Say two of us were skiing, jumping wakes and each others rope - stuff like that - and one might fall. Well, instead of the other one having to take a dunk while the fallen skier is retrieved, he would just make a big arc around the downed skier while the other one stayed on a swinging arch on the outside. Father would deftly guide old Jezebel around the skier, then straighten out as the rope slowly came to him. The downed skier would just grab the handle and glide right on up - and off they would go. I've lost track of the number of times we did that - it measured in the hundreds of times, though. As I said, he was a man of much patience. My father was a man who didn't necessarily subscribe to the "there's a right tool for every job" philosophy. He was a man for whom almost any tool could have many uses. For example, a simple screwdriver could also be used as a pry bar, a chisel, an ice pick, a scribe, a can opener, etc. As a result, we had a drawer full of bent, twisted, ground-down and handle-less screwdrivers in our house. And, there was almost no tool that could not be used as a hammer in a pinch. If you needed to pound a nail and no hammer was handy, a nice heavy wrench could do the trick. You can only imagine the carnage in the wrench drawer of our tool chest. And, speaking of wrenches, why bother to look for the right size wrench when a pair of pliers and a strong grip could do the job? Yes, we ended up with a whole lot of rounded bolt heads and nuts that way. My father was not a politically-oriented man. Until very late in his life I cannot recall him ever uttering a political statement. Oh, sure - we watched Adlai Stevenson and Ike on our 12-inch black and white television screen, but that was about it. He would never even think about attending a political meeting or addressing a grievance with a politician. He was too busy working - working hard. 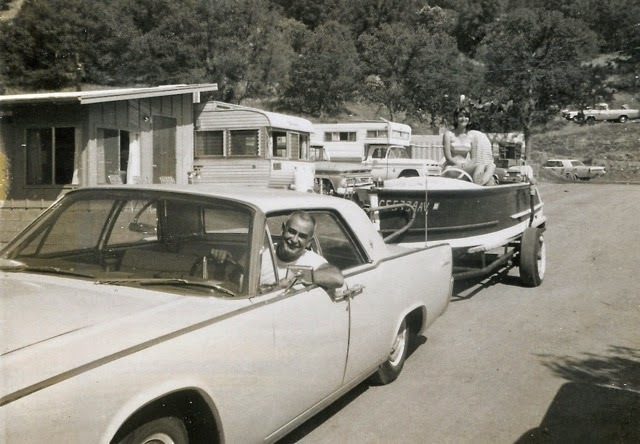 During his short retirement he and my mother spent their summers as campground hosts up in the mother lode country of northern California. They would camp in their little travel trailer, tending to the small campground along a lovely creek and make friends all summer long. He would sit in the creek and pan for gold - it was the Gold Country, after all - and get great joy in finding "color", sometimes enough to make a "clink" in the little glass vial he used to collect it. 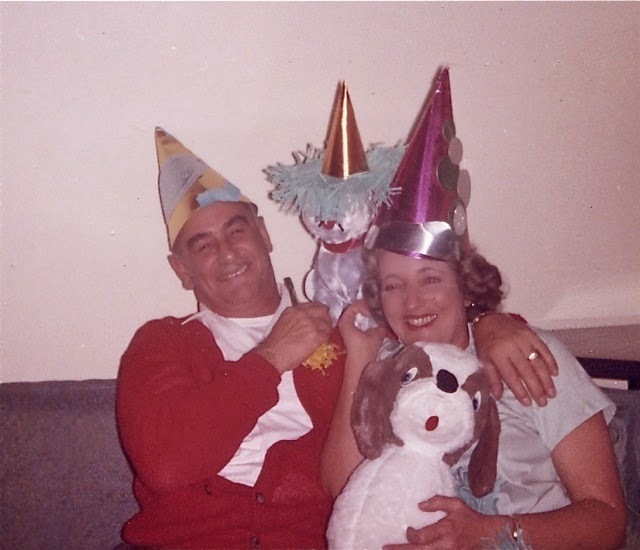 For many years my parents would jump into their car and head to Las Vegas. We didn't have a lot of surplus cash, so he would put $20 in the glove compartment for gas money for the trip home and off they would go. They'd stay downtown at The Mint and play blackjack and Keno, sometimes winning a little, sometimes not. And, during those visits they made friends - a thread throughout their life together. Some of those friends - pit bosses, managers, waitresses - became lifelong friends. 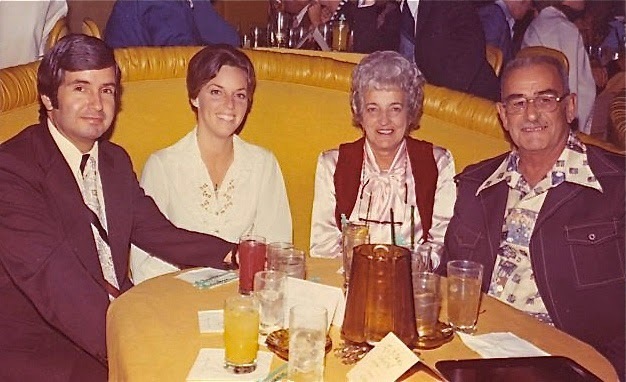 Even though my folks never spent much money in Las Vegas, there was always a room available for them, just because they were nice folks. 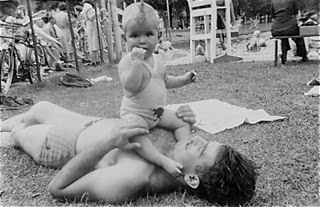 My father worked hard his entire life - from age fifteen, when he helped support his family, until he retired at age 62. That even counts the months he spent as a roustabout with a traveling circus in his late teens. It was a working life of five 12-hour days - sometimes six - to make ends meet. Unfortunately, he passed away before he reached his 65th birthday, having lived a rich, full life and many loving friends in his wake. The service was held on one of those atypical rainy days in Southern California, at the church where he had been a deacon for so many years. The sanctuary was packed with friends, employees, business associates and family who gathered to say their goodbye's. My head is full of little vignettes of my life with my father. I remember him as a tall, strong man sometimes wearing that fedora in the photos. I remember his laugh. I remember his love for my mother. I remember those nasty Raleigh cigarettes, the coupons from which we collected so we could order an ice chest or some other unnecessary bauble to keep them smoking. I remember how much he loved to have his feet squeezed, and how much my sisters and I loved doing it for him. He would feign pain, but only to keep us squeezing. I remember the pain of disappointing him. He was not a man who yelled at you, but you knew when he was unhappy with you and avoided that transgression again. I remember him letting me drive our car at age 12 without batting an eye. I remember him being the father figure for my cousins who lived across the street with my grandmother and their mother. They remember him with great affection, too. I remember the affection many of my friends felt for my father. They knew I was a lucky guy, and they told me so many times. 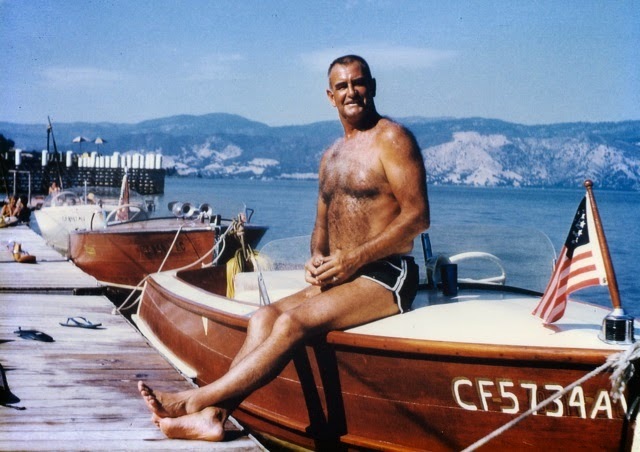 My father was a man against which many have been measured, and most of us have fallen short. He lived a life not filled with riches, but with friends, and set a high bar for us all. I miss him. 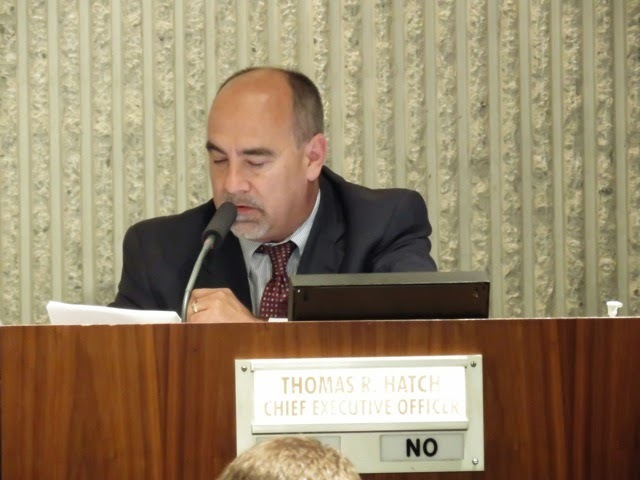 The Costa Mesa City Council held it's only meeting of May last night and what should have been a fairly short meeting turned out to stretch until 10:30. Actually, I guess we should be grateful that it didn't stretch into Wednesday. The meeting was special in at least one way. 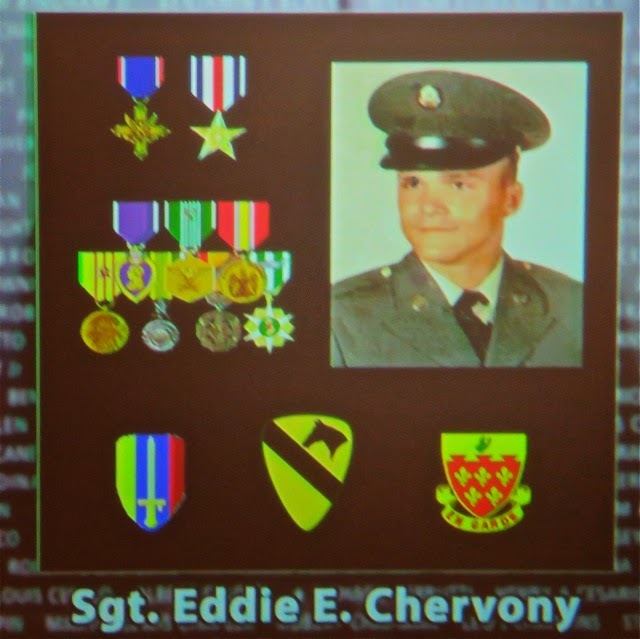 Costa Mesa Police Department staffer Jeanette Chervony led the Pledge of Allegiance, then spoke briefly of her father, Eddie Chervony, who was killed in Vietnam on this date in 1968. Mayor Steve Mensinger later closed the meeting in his honor. Sayed Mostafa Qazwini, the Imam of the Islamic Educational Center of Orange County in Costa Mesa led the moment of solemn expression. Mensinger presented the Mayor's Award to the Automobile Club of Southern California, a premiere employer in our City which is housed in a building of over 700,000 square feet and employes more than 3,000 people in Costa Mesa. 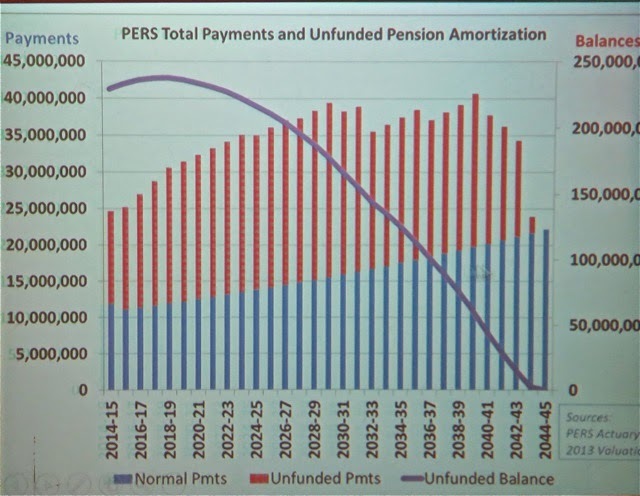 Jeff Arthur, Chairman of the Pension Oversight Committee presented a report - the first one in more than 15 months - in which he presented charts showing the status of our pension liability and the duration of time it would take to bet out from under it. These are shown below. 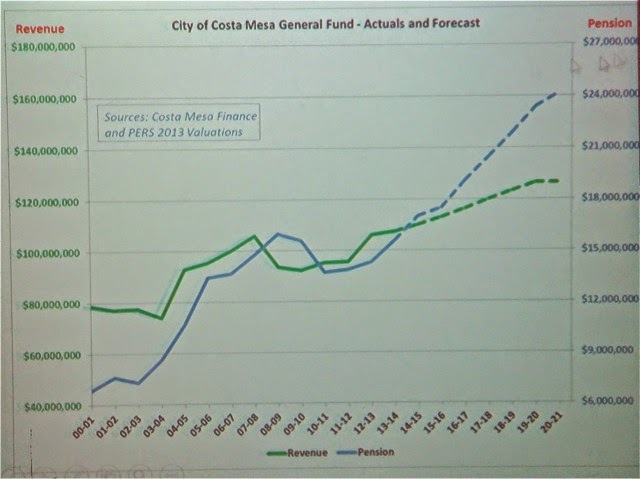 There was no response later when a member of the public asked if they had considered plans similar to those recently implemented in Irvine or Newport Beach, which would pay off their pension liabilities in a much shorter time. The council majority has shown NO inclination to pay down this debt, instead continues to put our money into infrastructure, expensive parties and similar items, while bemoaning the unfunded pension liability as our biggest problem. Seems like an odd management strategy - identify the "biggest problem", then ignore it and apparently hope it goes away. Richard Russell expressed gratitude for continuing the Fireworks over the upcoming July 4th holiday. Robin Leffler raked Mensinger over the coals for his refusal to take personal responsibility for the now-infamous DG Path incident, choosing, instead to let the City foot the bill for the remediation and legal battles. Mary Spadoni questioned contract City Attorney, Tom Duarte, about our current method of requiring speaker cards, citing a recent meeting of women lawyers who opined that it was a Brown Act violation. No response was given. 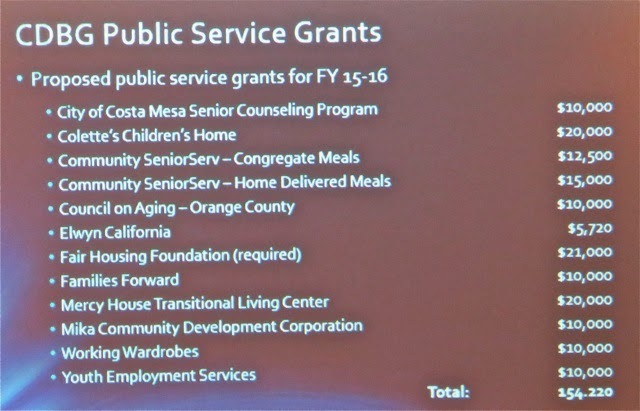 She also asked if the Pension committee had polled Irvine and Newport Beach on their solution. Wendy Leece expressed concern for Public Safety, and specifically the Fire Department. She suggested that the plan to close Station 6 should be revisited, and that greater emphasis should be placed on getting our transport ambulances into service so the City could realize that revenue stream instead of having it to a private company. (Which just happens to be a big campaign contributor to Mayor Pro Tem Jim Righeimer). Ann Parker reminded the council that heroin is a huge problem - one that has been ignored each time she previously brought it up. She mentioned a suicide at a rehab home and another death nearby. She spoke of corrupt politicians and implied that Righeimer worked for Scott Baugh - former Chairman of the Orange County Republican Party. Righeimer later took exception to her comments. 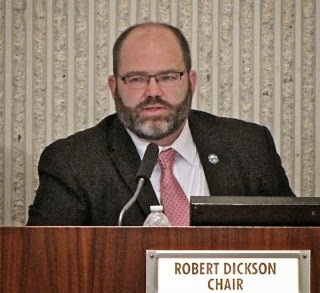 Chuck Perry praised the council for their infrastructure improvements and criticized those who expressed concern about what he called the "stupid DG Trail". Should we mention that he's good buddies with Mensinger? 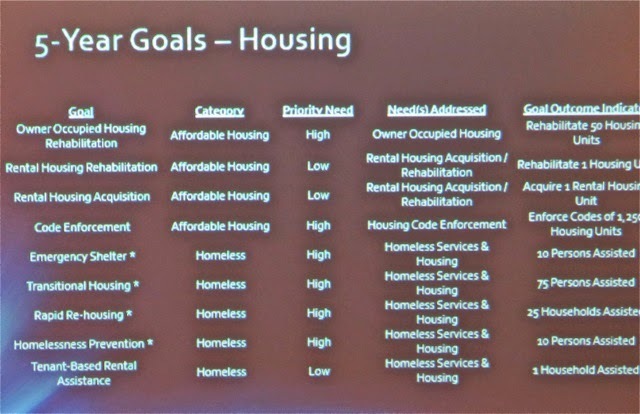 Jay Humphrey spoke briefly on the parking standards and provided a slide show on an analysis he recently performed demonstrating that, contrary to what has been espoused in recent months about our "strict" parking standards, other cities nearby have even more strict standards. Patrick Singer spoke with concern for the rehab folks. Lisa Sabo expressed concern about the bioswale being installed on Arlington Avenue because of the problems it creates for members of the equestrian community trying to enter and depart from the Fairgrounds. Teresa Drain again demanded a forensic audit of the 60th Anniversary Celebration, and gave examples of exactly why it's necessary. Pamela Wilson complained about the unfunded pension liability. It was not clear that she'd heard Arthur's earlier presentation. Tea Party Tom Pollitt complained about the recently-approved plan to remodel and re-purpose the old Print Shop space in City Hall, expressing the opinion that the "Convention Center" could be used if meeting space was needed. Of course, he meant the Community Center, but one never knows what will come out when he opens his mouth. 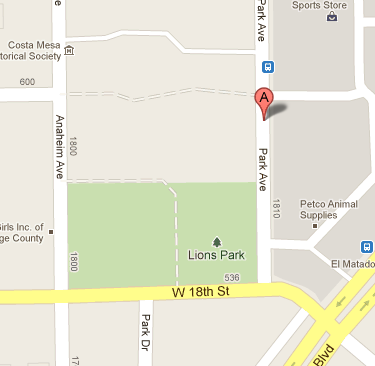 He expressed interest in a big report showing Costa Mesa crime stats for 15 years back. Laurene Keane inquired about the availability of any reports on crime in the City, and expressed concern about drug trafficking. Gene Hutchins, formerly a member of the Pension Oversight Committee, thanked the committee then opined that if we, the public, were concerned about not having enough police officers we should "tell the unions to do more. ", meaning participate in the cost of pensions more. Steve Mensinger - Thanked Arthur for his report and the "Pension Oversight Board" (it's a committee!). Katrina Foley - Asked for the City Staff to do a parking standards survey of all Orange County cities. She inquired, again, about the memo she asked for regarding the audit of the 60th Celebration. She inquired of Assistant CEO Tammy Letourneau about the pension deductions for new employees, since it was implied by one speaker that members of the Police Department pay nothing. They, in fact, do pay toward their pension as required by state law. She observed that a new restaurant recently opened in SoCo, and that there will be a remembrance of Henry Segerstrom on May 7th. Sandra Genis - Mentioned the budget workshop and spoke about landscaping. She suggested the Planning Commission look at parking in general in the city and address the Small Lot Ordinance in particular. Gary Monahan had nothing - again. Jim Righeimer made up for it, though. 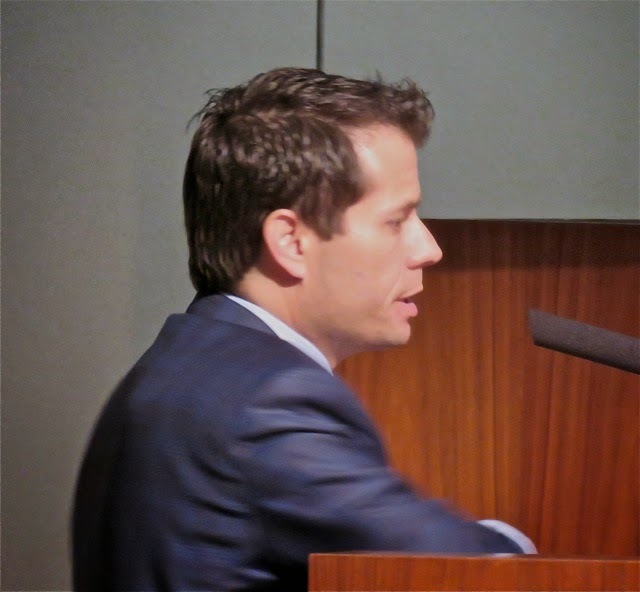 He echoed the need for a study of parking and the Small Lot Ordinance parking standards. He then went off on a rant about Pensions and the Police Department in particular, using his bully pulpit to castigate those people he is suing. He has so sense of shame or deportment. 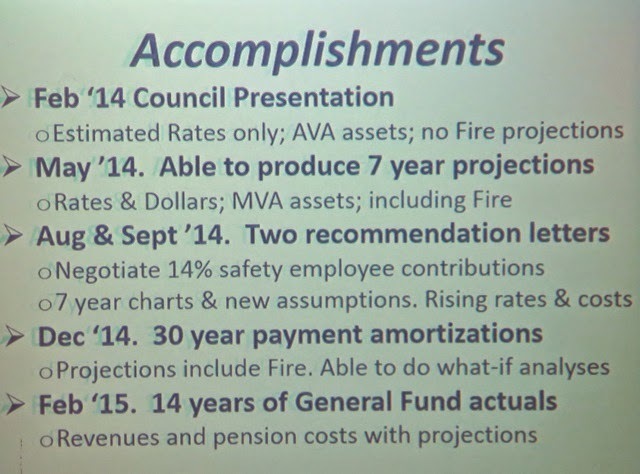 During his report CEO Tom Hatch covered a number of items. 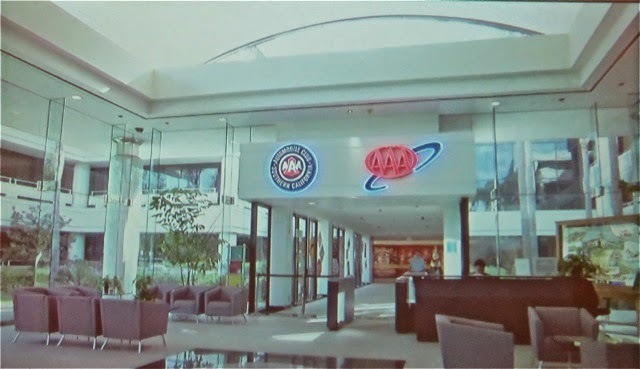 He spoke about the recently-introduced plan to run a dedicated bus line from Costa Mesa (South Coast Plaza area) directly to and from the Disneyland Resort area of Anaheim. At $5.00 per head round trip, that sounds like a GREAT deal for anyone heading up to Disneyland, for sure. He also offered a compliment to the CMPD, citing a recent sweep of parole and probation violators. He mentioned recent graduates of the Costa Mesa High School Teen CERT academy. He told us of upcoming budget meetings. On Tuesday, May 12th there will be a Budget Study session. On Thursday, May 21st, there will be a community budget meeting. 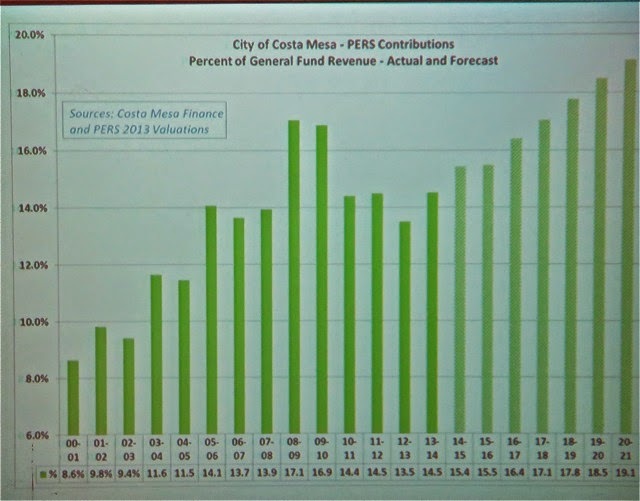 On June 15th the 2015-2016 budget will be discussed and approved. 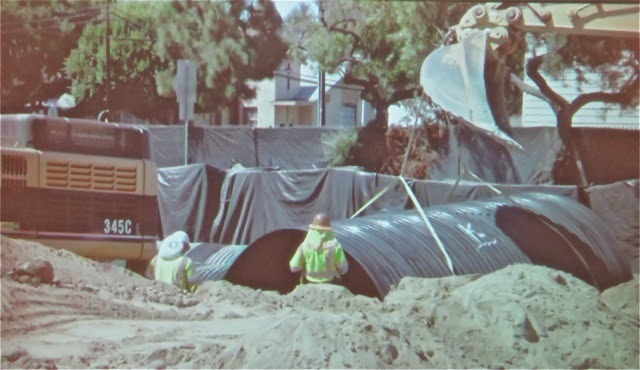 He then had a video of the Water Quality project being completed in Lions Park shown. Five items were pulled from the Consent Calendar, with the remainder being passed with one vote. Of those five, by the time they were called at the end of the meeting only two were discussed because folks who pulled the others had left. Both passed on 5-0 votes. See my earlier report on the issues involved. 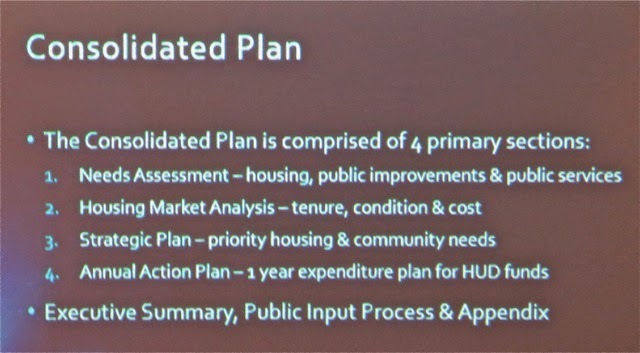 Public Hearing #1, the Consolidated Plan and distribution of CDBG funds was up next. Consultant Mike Linares - whose contract was extended in the Consent Calendar - led the discussion and showed an extensive slide show. The following are highlights. Four people spoke on this issue, including a member of the committee that hammered out the distribution of the CDBG funds. The council voted to receive and file the report at 7:40 p.m. 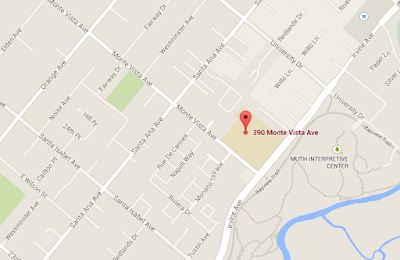 The next item, Public Hearing #2, the proposed development at 1239 Victoria Street, came next. This is for 28 units replacing an office building that once was a manufacturing site. The Planning Commission approved it with some requirements dealing with roof gardens and a fence along the park across Victoria Street. I'm not going to cover every word that was said in the 3:40 minutes it took to cover this issue. 23 people spoke to it, of which a third - 7 - were against it. The others were made up mostly of the same cadre of young folks who spoke before the Planning Commission. They said the same spiel, almost word for word, that they did before. Most seemed to have a tie to the developer or development/real estate. At the end Righeimer convinced the council majority that the rooftop patios removed by the Planning Commission should be added back into the units where they had been deleted, and that the fence should not be the responsibility of the developer. This will get a second reading in June. At 10:00 Public Affairs Manager Dan Baker led the discussion of the renewal of the BIA program, confirmed that eleven (11) hotels now particpate and that the Conference and Visitors Bureau will receive around $2.37 million to market our community to the outside world. Paulette Lombardi-Fries of the CVB spoke about their activities briefly and emphasized their recent 70 page annual report and their recently freshened web site at TravelCostaMesa.com. 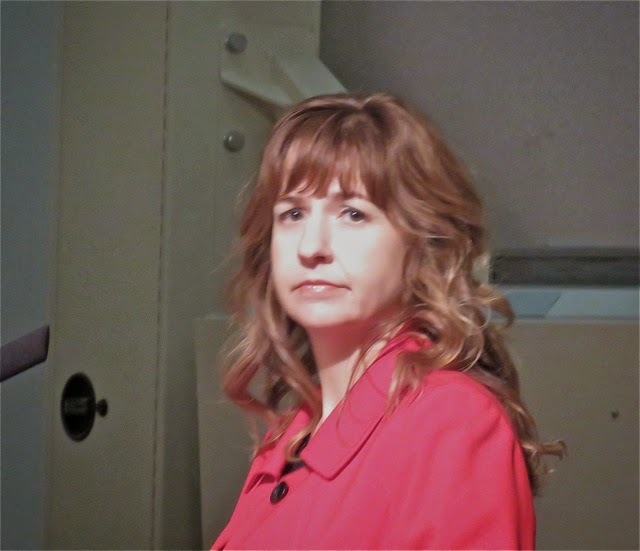 After the "pulled" Consent Calendar items were heard, Mensinger read a note that Jeanette Chervony had written about her father, then closed the meeting in his honor. The next council meeting will be in June. 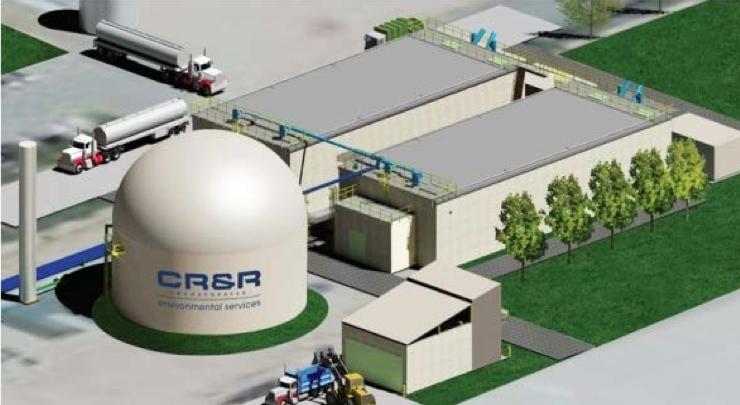 The Costa Mesa Sanitary District mailed out post cards last week announcing a series of three more Town Hall meetings to inform the public about the upcoming implementation of the new Organics Recycling Program that's coming this summer. I've covered the previous meetings on this issue last year. You can find those entries by typing "Organics Recycling" up in the search box on the left corner of this page. According to the card, the distribution of the new carts (trash cans on wheels) will occur beginning on June 22nd through August 14th. At the town halls you will "learn when your separate organics cart will be delivered, the type of organic materials accepted, exemptions, and why the District is implementing this new innovative program." 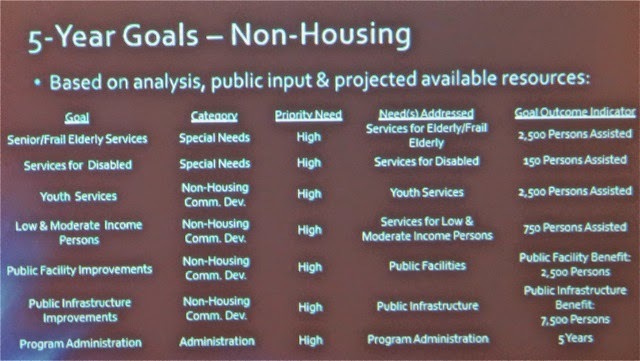 Monday, May 11, 2015 at 6 p.m.
Saturday, May 16, 2015 at 9 a.m.
Tuesday, June 2, 2015 at 6 p.m.
And, just in case you cannot attend any of these meetings, our buddy, Barry Friedland, covered a previous town hall meeting last year on this issue for his Costa Mesa Brief YouTube channel. You can click HERE and spend a couple hours watching that one, if you wish. Thanks for the public service, Barry.